THIS YEAR’S FORBES IS VERY REMARKABLE WITH 2,153 PEOPLE MADE IT TO THE ELITIST LIST OF WORLD’S BILLIONAIRES. Interestingly, 13 of these billionaires are blacks, which is up from 11 a year ago. 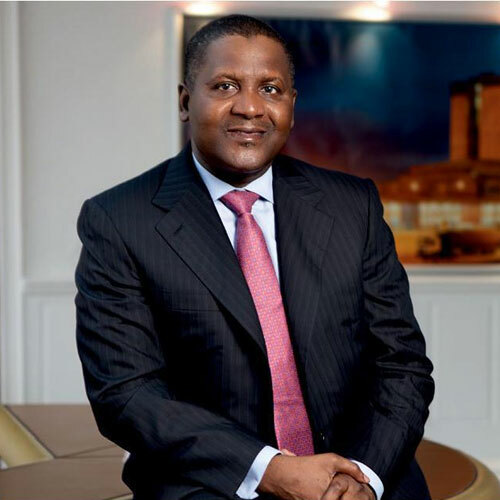 ALIKO DANGOTE, Nigeria’s Cement tycoon still remains the richest black person in the world with a fortune estimated at $10.9 billion. He’s closely followed by Nigerian oil and telecoms mogul Mike Adenuga. American businessman David Stewart, who is majority owner of World Wide Technology, an $11.2 billion (sales) IT provider, whose customers include Citi, Verizon and the federal government, joins the Black Billionaires Club with a fortune FORBES estimates at $3 billion. Nigerian businessman, Abdulsamad Rabiu, who made his fortune in cement, flour, edible oils and real estate, returns to the 3-Comma club after a multi-year hiatus. He last featured on the FORBES list of the World’s Billionaires in 2014. In December 2018, Rabiu merged his privately owned Kalambaina Cement Company with listed firm Cement Co. of Northern Nigeria, which he controlled. The new, larger company has a market capitalization of more than $800 million, with Rabiu owning more than 90% of the company’s stock. The value of his shares in the new Cement Co. of Northern Nigeria provided a shot in the arm to his fortune, which FORBES estimates at $1.6 billion. 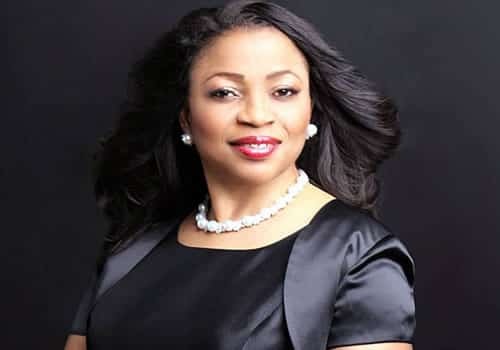 Nigeria’s Folorunsho Alakija, American TV mogul, Oprah Winfrey and Angolan investor Isabel dos Santos still remain the only black female billionaires in the world. The Cement and commodities tycoon retains his title as the world’s richest black man this year. After building his fortune in sugar, flour and cement, the Nigerian tycoon is embarking on his most ambitious project to date- a private oil refinery in Nigeria which will have a refining capacity of 6500,000 barrels a day and is expected to reduce Nigeria’s dependence on oil imports. 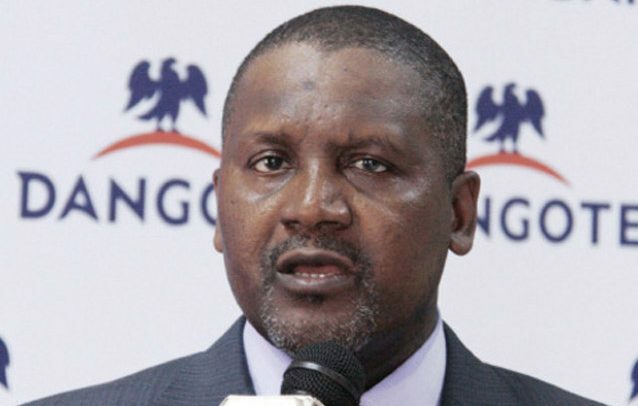 Dangote started out in business more than 3 decades ago by trading in commodities like cement, flour and sugar with a loan he received from his maternal uncle and went on to build the Dangote Group, the largest industrial conglomerate in West Africa. Nigerian-born Mike Adenuga, the world’s second richest black person, built his fortune in oil and mobile telecoms. His Conoil Producing Company was one of the first indigenous Nigerian companies to be granted an oil exploration license in the early 90s. The company is the operator of six blocks in the Niger Delta and also owns a25% stake in the Joint Development Zone (JDZ) Block 4. He is also the founder and sole owner of Globacom, a Nigerian mobile phone network that has more than 40 million subscribers in Nigeria and neighboring African countries. His property company, Cobblestone Properties, owns hundreds of prime residential and commercial property all over Nigeria. Robert F. Smith, a former Goldman Sachs executive, is the founder of private equity firm Vista Equity Partners that focuses exclusively on investing in software companies. The firm has more than $46 billion in assets and is one of the best-performing private equity firms, posting annualized returns of 22% since inception. David Steward is the cofounder and chairman of IT provider World Wide Technology, World Wide Technology, an $11.2 billion (sales) IT provider, whose customers include Citi, Verizon and the federal government. Oprah is still the richest African-American woman in the world thanks largely to the 25 years of her profitable daytime TV show and earnings from her Harpo production company. Her cable channel, OWN (Oprah Winfrey Network) is also cash flow positive for the first time and is enjoying favorable ratings as a result of securing exclusive TV interviews with headline-grabbers like disgraced cyclist Lance Armstrong, Beyonce and gay NBA player Jason Collins. One of America’s most generous philanthropists, Oprah continues to give to education causes and has spent about $100 million on the Oprah Winfrey Leadership Academy for Girls in South Africa. Masiyiwa, who is worth $2.4 billion, is the founder of Econet, one of the leading mobile telecoms companies in Africa. It has more than 10 million subscribers spread across Zimbabwe, Botswana, Burundi and Lesotho. In February, he pledged the sum of $100 million to establish a fund to invest in rural entrepreneurs in Zimbabwe. The oldest daughter of Angola’s former president, Isabel dos Santos has built an impressive investment portfolio what includes a 25% stake in Angolan mobile phone company Unitel and a 25% stake in Angolan BIC SA. Other holdings include a substantial stake in Nos SGPS, a Portuguese cable TV company and just under 20% of Banco BPI, one of Portugal’s largest publicly traded banks. South Africa’s first and only black billionaire is the founder of African Rainbow Minerals (ARM), a Johannesburg Stock Exchange-listed mining company that has in platinum, nickel, chrome, iron, manganese, coal, copper and gold. He also owns a large stake in African Rainbow Capital, a private equity firm focusing on investments in the financial services sector. Lee-Chin, a Canadian of Jamaican origin, made a fortune investing in financial companies. He owns a 65% stake in National Commercial Bank Jamaica, which makes up the bulk of his fortune. Abdulsamad Rabiu is the founder of BUA Group, a Nigerian conglomerate with interests in sugar refining, cement production, real estate, steel, port concessions, manufacturing, oil gas and shipping. BUA Group’s annual revenues are estimated at over $2 billion. Abdulsamad got his start in business working for his father, Isyaku Rabiu, a successful businessman from Nigeria’s Northern region. He struck out on his own in 1988, importing rice, sugar, edible oils as well as steel and iron rods. Nigeria’s first female billionaire is the founder of Famfa Oil, a Nigerian company that owns a substantial participating interest in OML 127, a lucrative oil block on the Agbami deep-water oilfield in Nigeria. Alakija started off as a secretary in a Nigerian merchant bank in the 1970s, then quit her job to study fashion design in England. Upon her return, she founded a Nigerian fashion label that catered to upscale clientele, including Maryam Babangida, wife to Nigeria’s former military president Ibrahim Babangida. Sudanese-born Mohammed “Mo” Ibrahim founded Celtel International in 1998, one of the first mobile phone companies serving Africa and the Middle East. He sold it to Kuwait’s Mobile Telecommunications Company for $3.4 billion in 2005 and pocketed $1.4 billion. In 2006 he founded the Mo Ibrahim Foundation which promotes good governance in Africa.